This book is the first Haggadah that brings together the teachings of three of the most influential and brilliant Rabbinic personalities of the 20th century: Rabbi Kook, Rabbi Shlomo Carlebach, and Rabbi Joseph Soloveitchik. The Night That Unites also offers a special section of contemporary readings and stories related to the Land of Israel and the Holocaust. 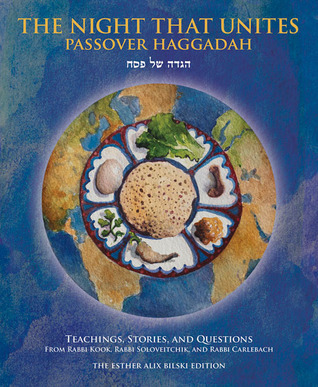 Suggested questions are offered as a way of encouraging and guiding discussion at the Seder that will enhance the Passover night experience, and illustrations depicting all 15 steps of the Seder are featured throughout.